The trigeneration plant will produce a 3% drop in the City of Sydney’s total greenhouse gas emissions and taking a significant step towards achieving the Sustainable Sydney 2030 plan. Lord Mayor Clover Moore said locally-produced energy would make a big contribution to the City’s emissions reduction target of 70 per cent by 2030. “At the City, we know most of our residents want action on climate change so we have set an ambitious long-term target of reducing our emissions,” the Lord Mayor said. “Cities use over two thirds of the world’s energy and emit more than 80 per cent of carbon dioxide emissions, so its action in cities that provides us with the greatest opportunity for deep cuts,” the Lord Mayor said. The trigeneration plant will be located on the roof of Town Hall House. 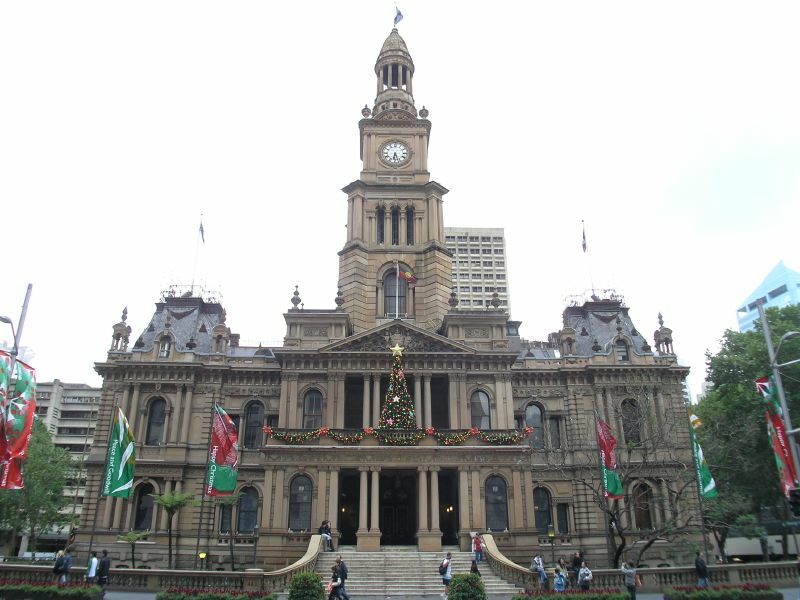 It will supply power, heating and cooling to both the 40 year old Town Hall House where the City of Sydney staff offices are located, as well as the adjacent heritage listed Sydney Town Hall. Given the space and logistical requirements associated with the installation, AE Smith’s Energy Services team, led by Mark Sanders, used their expertise in creative problem solving to find the right solution to meet the City of Sydney’s performance requirements. A number of trigeneration technologies were reviewed by AE Smith’s Energy Services team. The recommended solution to deliver the desired reduction in emissions was a 1.4 Megawatt electrical output trigeneration system comprised of seven 200kW Capstone Microturbines. Capstone Microturbines utilise jet-engine technology, they have no oil or other consumables throughout the combustion process and utilise only one moving part. This makes them compact, quiet and reliable. Each Capstone Microturbine is capable of turning down to 10% of its total power output, which means they can actively follow the electrical demand in the building throughout the day, in winter and in summer. Tenderers were provided with a concept design based on two or three larger reciprocating generators being installed. However, in order to provide the most robust system AE Smith determined that the Microturbine solution would help to mitigate the potential impact of breakdowns or unscheduled maintenance. Essentially, having more generators reduces the risk of down-time. “With seven Capstone Microturbines installed, we can meet the City of Sydney’s power needs with a very high level of reliability. If one turbine were to fail or require maintenance, the overall power output would drop less than 15% of the total output,” said John Bourne, AE Smith Energy Engineer. The seven Capstone Microturbines will generate electricity to offset the buildings’ electrical demand, thereby reducing energy costs. Waste heat from the generators will be used for heating in the 24 storey Town Hall House and Sydney Town Hall, as well as cooling for both buildings with the installation of two absorption chillers. A majority of the trigeneration plant will be prefabricated off-site before being installed on the roof, 24 storeys above street level. Heating water will connect to the existing boiler system on the roof, the chilled water will be integrated into the mid-level plant room and the power will be delivered into a new main switchboard in the basement. Once the trigeneration plant is installed, AE Smith will work closely with the City of Sydney’s facility management to optimise the performance of the system. The project includes a five year plus up to another five year operate/maintain e contract. “This trigeneration solution for the City of Sydney will be a world leading installation. It’s economical, both at the system capital expenditure stage and through reliability with fixed cost 40,000 hour life cycle maintenance supported by Capstone’s 100% Factory Protection Plan (FPP),” concluded Mark Sanders. The FPP is unique to Capstone Microturbines and provides a manufacturer’s fully inclusive maintenance and product life cycle insurance plan. As well as reducing CO2 emissions by 3% and creating energy savings for the City of Sydney each year, the trigeneration plant is expected to improve Town Hall House’s NABERS rating significantly. “We have reached a critical decade in the battle against climate change and trigeneration is a proven way to produce electricity locally and slash carbon emissions,” the Lord Mayor said. This activity received funding from the Australian Government.